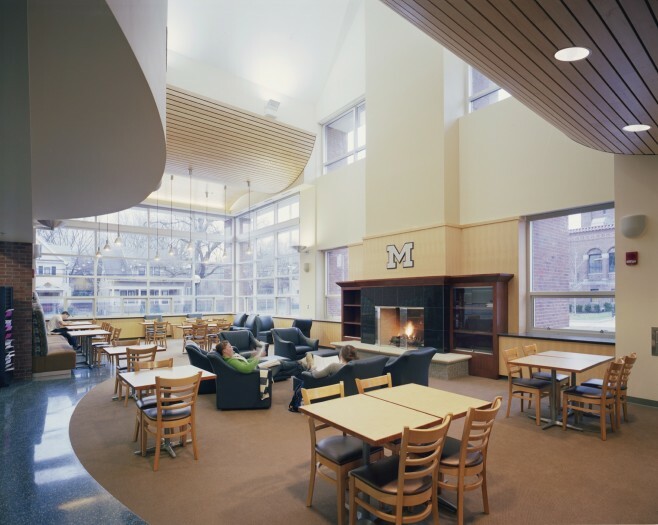 Academics is the focus of this three-story center for student athletes at the University of Michigan. 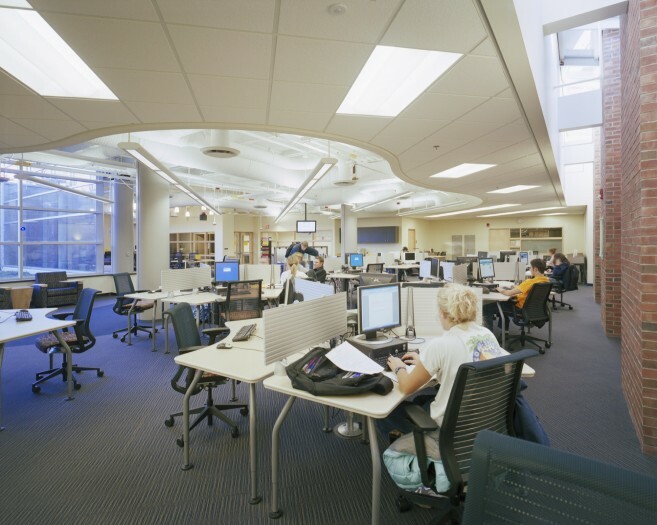 The Center provides academic study space by consolidating numerous study locations throughout campus into a single facility that enhances academic programming for more than 700 U of M student athletes. 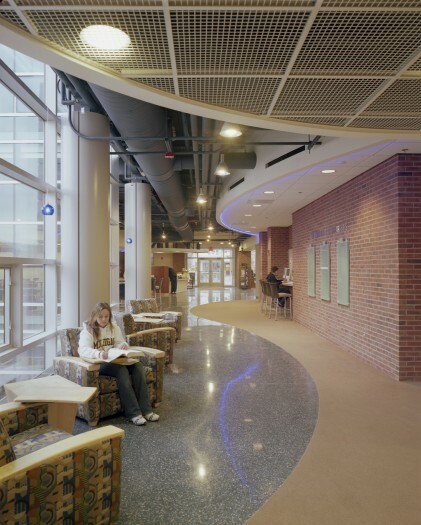 The lower level, partially below grade, provides computer labs and tutorial spaces, which open to a multi-level outdoor courtyard. 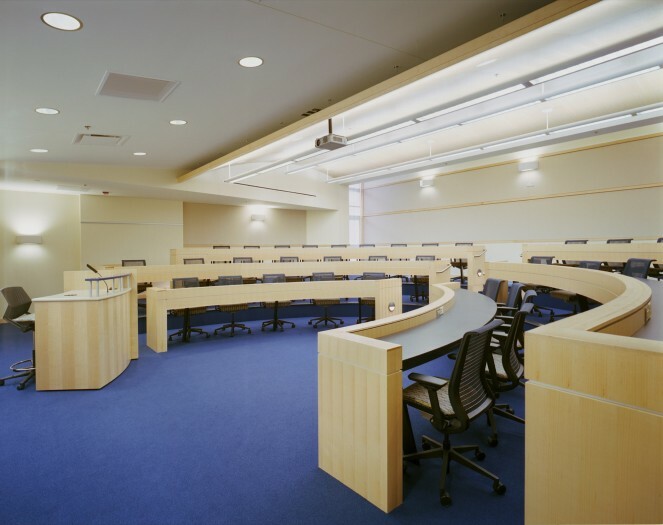 Located on the main entry level are reception, staff offices, an academic study lounge, group meeting rooms, a “break out” room with access to an exterior terrace and the Wolverine Room, a multimedia teaching space. 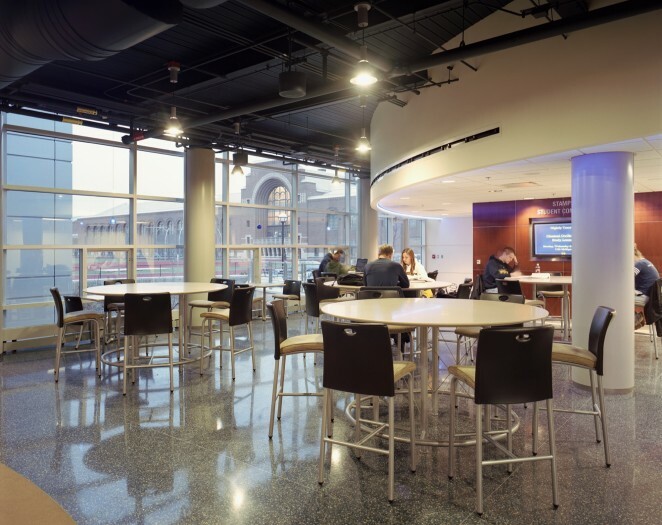 The upper level provides space for 18 individual small tutorial spaces, 3 tutorial lounge areas grouped into meeting rooms and the NCAA life skills facility. The design, using steeply sloped roof profiles, masonry with precut stone trim and building massing, creates an architectural transition between the attached Marie D. Hartwig tudor style original 1912 Club House and adjacent Yost Field House, built in 1923. This center serves the 700 student athletes at U of M.